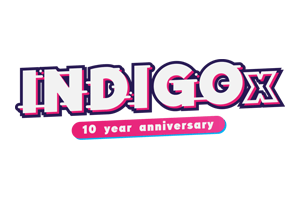 INDIGO, the largest game showcase in the Netherlands hosted by the Dutch Game Garden, celebrates its 10th edition on June 28 with a new name: INDIGOx. The grand event takes place at Speys in Utrecht and offers business opportunities for publishers, investors, and important players within the games industry. With inspiring speakers, many network opportunities, and the newest games this is the event for the games industry. Be a part of INDIGOx: Discover, Connect and Talk! Tickets are now available. Visitors can participate in three different parts of the program during INDIGOx: xDISCOVER, xTALKS and xCONNECT. xDISCOVER is the largest showcase event of the Netherlands. Discover a diverse selection of national and international games; PC, console, mobile, VR, serious games, prototypes, and much more! Visitors have the opportunity to contact participating companies directly, like Epic Games, Oculus and Xsolla. Game companies that want to showcase their game at xDISCOVER will be able to subscribe soon. The starting date will be announced via the INDIGOx social media channels. INDIGOx offers with xTALKS, an inspiring program of six talks, 30 minutes each, given by experts of the industry, leading companies and game entrepreneurs. Furthermore, INDIGOx hosts xCONNECT, a matchmaking tool, in collaboration with MeetToMatch. It gives game companies the unique opportunity to meet with publishers, service providers and other game companies. MeetToMatch at INDIGOx will be used by Oculus, Nintendo, United Label (indie publishing label of CI Games), Maximus Games (publisher), Plug-In-Digital (publisher),Tobii, and many more! During INDIGOx visitors are asked to vote on their favourite game showcased during the event. The winner is awarded with the INDIGOx Award. The event will end in a festive manner with the INDIGOx Party, which is made possible by Blue Mammoth Games. The party is free for anyone with an xDISCOVER ticket. Learn more at the INDIGOx website!